Let's start with the positives, shall we? In spite of the gold tone hardware, I do love the bag. The four side buckles and oversized logo are SO Italian that I cannot fail to adore this. Arm candy as it's very best. 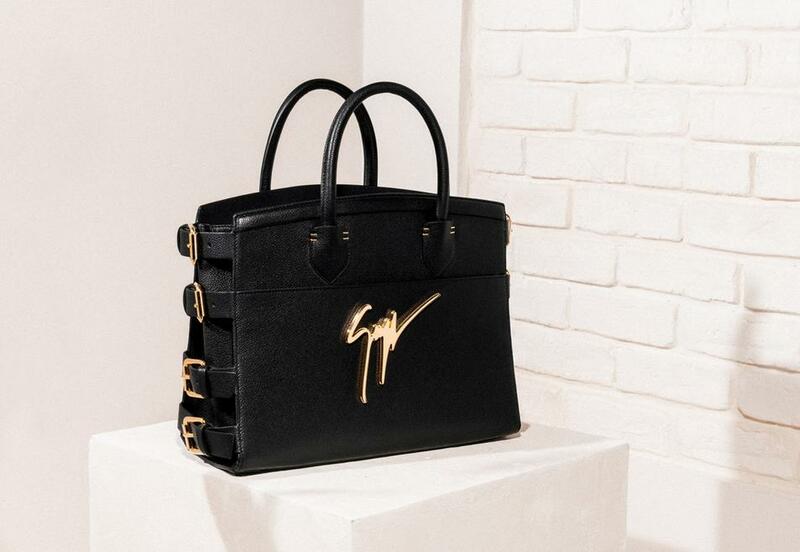 The monogram G#17 tote is the house's iconic bag. It bears the statement Giuseppe Zanotti Design signature logo and multiple side buckles. This version, in textured leather, is a mix of timeless simplicity and tactile glamour. The shoes? I 'get it' in terms of what GZ was going for, and while the quality of the shoes is undoubtedly incomparable, I'm uncertain whether these shoes would have been better as a catwalk concept shoe, rather than produced for wider sale. The t-strap is a little thick and clumsy for me (although perhaps necessary for the height of the wedge. I'm not sure that the 'G' signature shape really adds anything to the styles that are better than the original heel-less wedges. 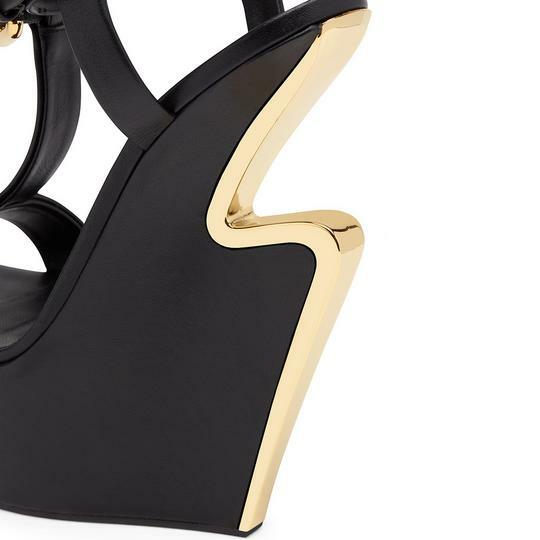 The 'G#15' wedges are Giuseppe Zanotti's new iconic shoe for the season with the gold plated cut-out 'G' on the wedge mimicking his signature. Giving wedges the kind of attention they deserve, we'll be wearing these stacked high soles in a classic tone with a clutch bag and loose oversized top. I'd love to hear in the comments if you love these shoes as to why and also how you'd style them.